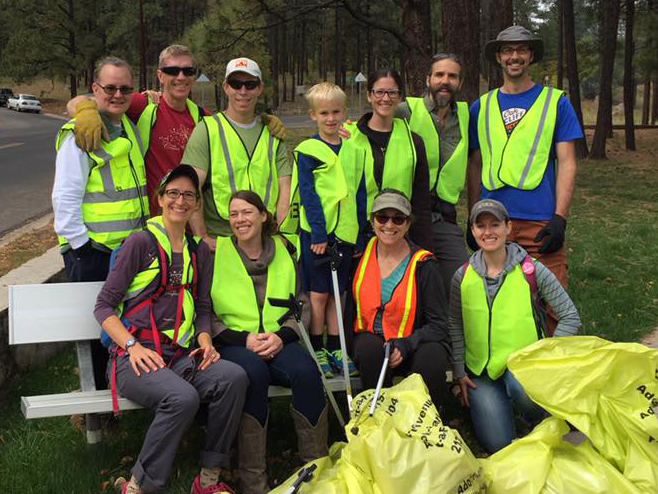 FIMC has pledged a dedication to the City of Flagstaff to help cleanup a section of the Flagstaff Urban Trail System (FUTS) 3 times a year. Our section is along Thorpe Park Rd, from N. Kinlani Rd. and W. Sante Fe Ave. If you are interested in helping out in our next outing we encourage you to signup to our mailing list and, or, like the FIMC Facebook Page—where we will announce the next cleanup effort. Our first cleanup effort was a great success!